Based on the holiday village motif, Amdar Village was built close to the shore of the Red Sea to a high standard of luxury and comfort over the past seven years. The location of Amdar Village is superb. 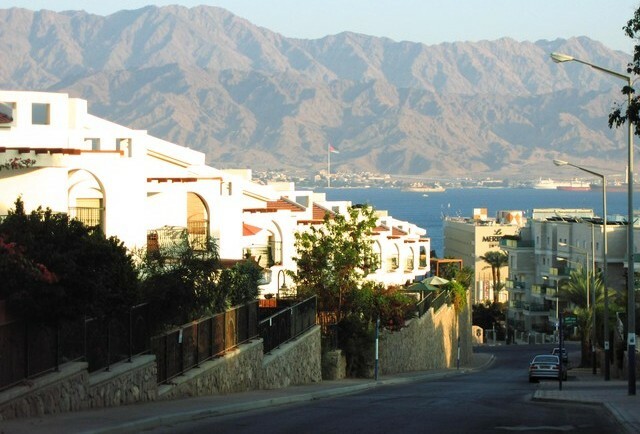 Within five to seven minutes’ walk from the Vacation Zimmer you are at the Eilat beach, the hotel promenade and at the world famous Red Sea Mall. You are two minutes’ walk to the most well-stocked high-quality low-priced supermarket which just opened at the adjacent to Amdar Village. And in the summer there is a private family pool right on your own patio (see photo below). 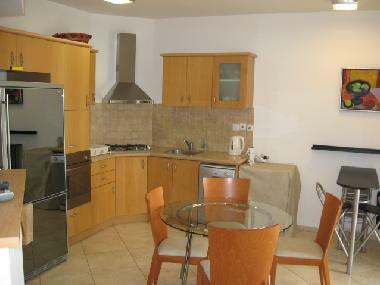 This is the way to live while you are vacationing in Eilat. 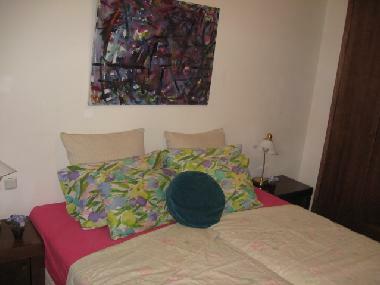 The vacation rental has two bedrooms with two beds plus two couches in the living room that open to two comfortable single beds. This Holiday home can accommodate up to six people. 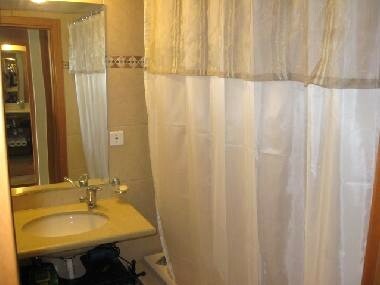 It has two bathrooms (one with Jacuzzi bathtub) and has been outfitted with everything to the highest standard. Fully-equipped kosher kitchen with Full-size appliances, dishwasher, and washer, dryer, high-speed Wi-Fi throughout the short term rental and patio, satellite TV service and more will truly make you feel this is your home away from home. In addition, for those who keep strictly Kosher, there are two more sets of dishes, pots and cutlery locked up for you to use. Just a short walk to shul! 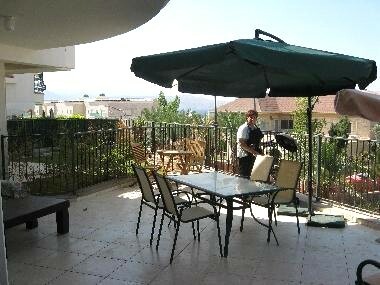 The garden vacation apartments offer: Easy Access for ALL and Handicap Friendly! Amdar Village in general and the ground floor holiday rentals in particular are sought after by vacationers from all over the world. Park your car in your own space right in front of the vacation home and enter WITHOUT climbing ANY stairs. Whether you are a family with children, or one on the way, or whether you find it hard to climb stairs, or just don't want to have to climb stairs while shlepping valises or groceries you will relish the easy access this holiday home offers. 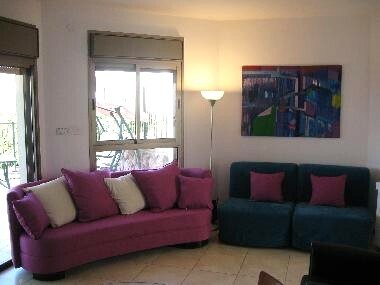 In addition, this unit has a patio on which you could optimally enjoy the warm Eilat climate. This spacious patio has areas where each member of your family will find his/her own place. One corner has a shanty-style sofa and coffee table. Nearby is a table with room for six to dine in style. Another corner has a three-seat swing, while the fourth corner has a small table for the kids to play on. You will save a fortune staying in this short term apt compared to staying in a hotel where would have to pay two to three times as much for a suite half the size of vacation rental. 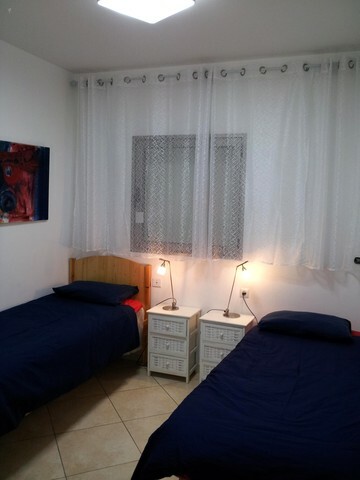 You could save money by preparing meals in this state of the art kosher kitchen as compared to having to eat out every meal if you stayed in a hotel, and you will enjoy a very special and memorable vacation. 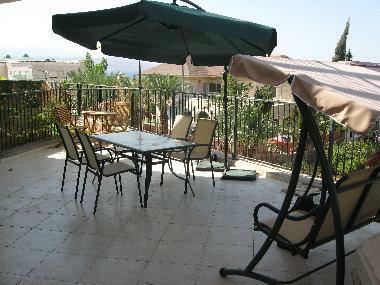 The price for this summer season will be a very reasonable 1,400 Euro per week for the holiday Home. You pay NO additional apartment-related expenses above this. You will not find anything comparable for anywhere close to this price. 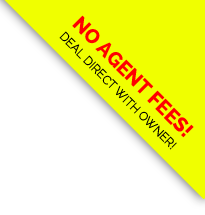 All Other Fees: Price is for up to four guests. $25 per night for each guest over two years old. Final cleaning charge $50. Dates of peak Season: July, August, Rosh Hashana, Succot, Chanuka, end of calendar year. Please say "I saw your listing #2570 on "RESERVE KOSHER"